OnPatient is a new iOS app designed to streamline the patient check-in process, eliminating the oft-tedious paperwork of the waiting room. 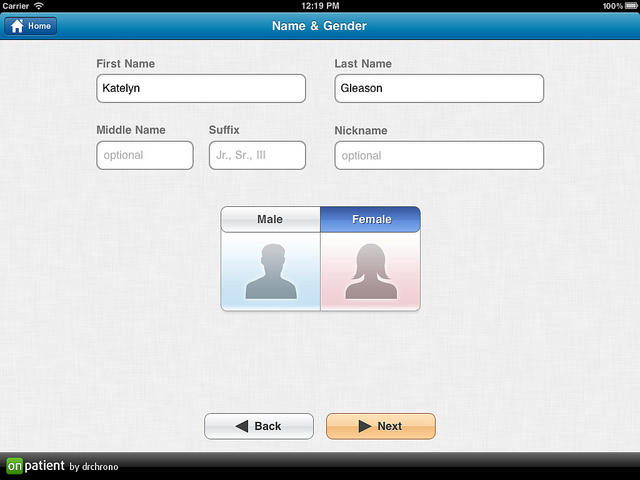 The app, created by drchrono, can be used by both the physician and the patient, is fully customizable and can be easily integrated with drchrono’s iPad EHR. This slideshow offers an inside look at some of the app’s features. The above image shows the secure log-in page. 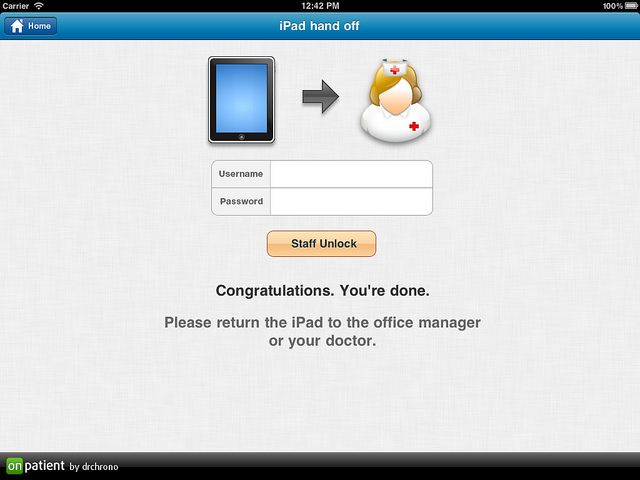 The app can be downloaded for free, and is a standalone application with easy integration into drchrono’s iPad EHR. Image courtesy of drchrono. Click on the images to enlarge. 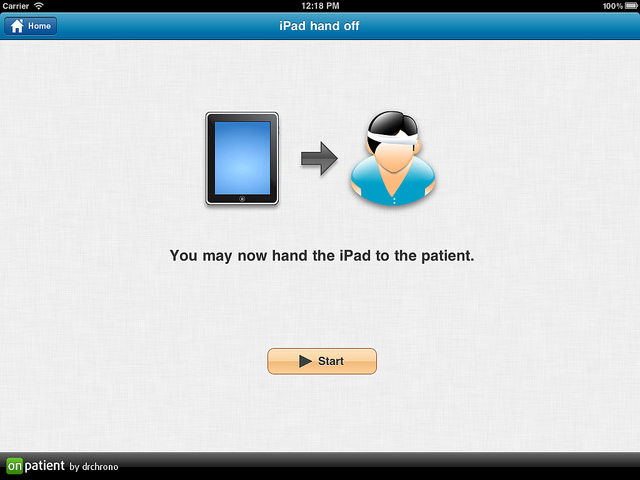 Once the physician logs in, the iPad is handed to the patient so that he or she may enter their information. Image courtesy of drchrono. 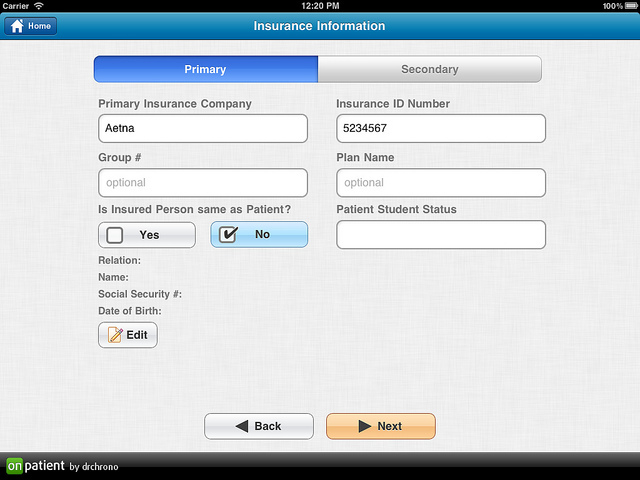 Once a patient begins entering their information, the drchrono EHR platform is automatically updated. Patients only need to enter their information once – on subsequent visits, they only need to verify that the information is correct, or make any necessary changes. Image courtesy of drchrono. 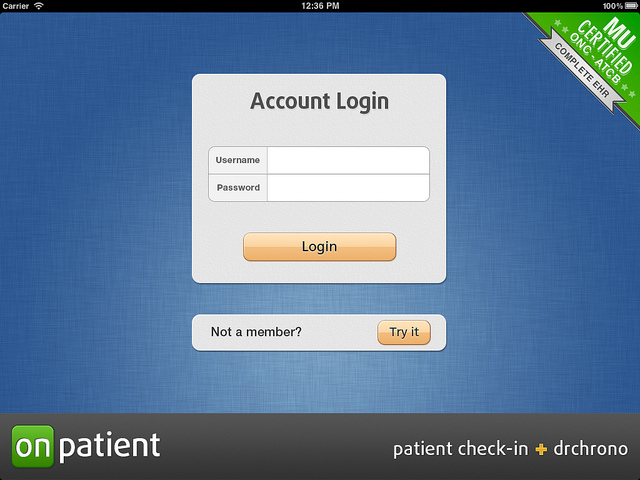 Time-consuming data entry is made simple with the OnPatient app. Optional fields are clearly marked to make the process even quicker. Image courtesy of drchrono. 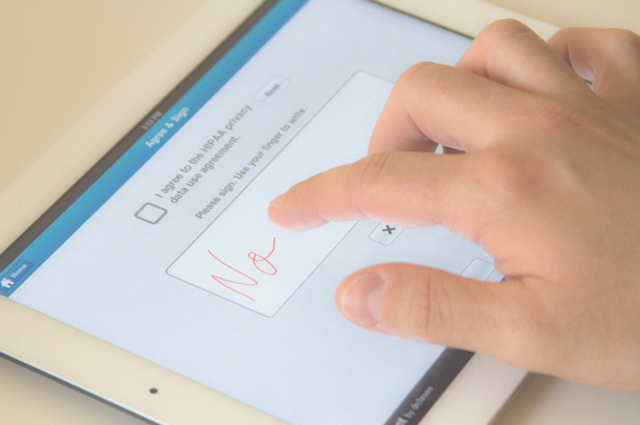 Patients are able to read the HIPAA privacy consent form, and sign it with a digital signature. Image courtesy of drchrono. Once the patient has finished entering or reviewing the information, he or she can hand it back to the physician. Image courtesy of drchrono.